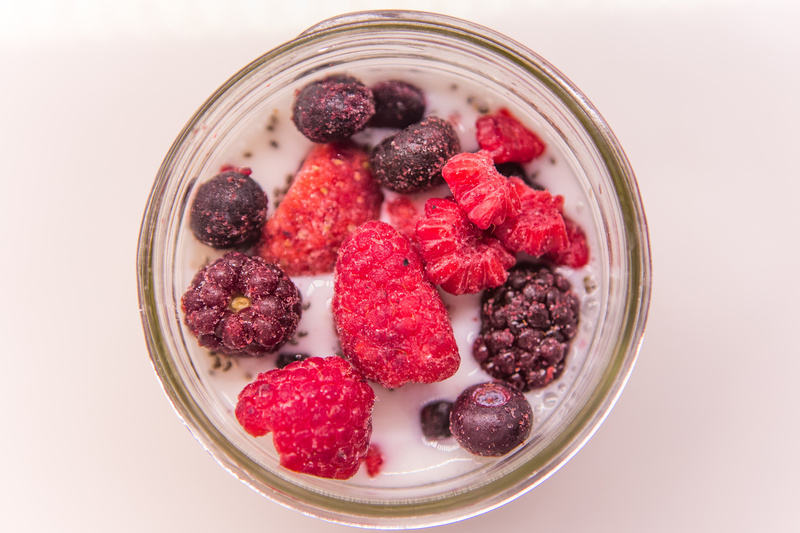 I recently started looking into healthy and quick breakfast options since I am almost always running late in the mornings. Matt leaves for work before T even wakes up so that usually means it’s all up to me in the mornings to get myself and T ready and brought to school. I have to admit that every morning I am late on both dropping T off to school and getting to work. How do people do it on time? Please tell me the secret! In an effort to try to be more efficient with my time, I now have several morning routines to make it as easy as possible. 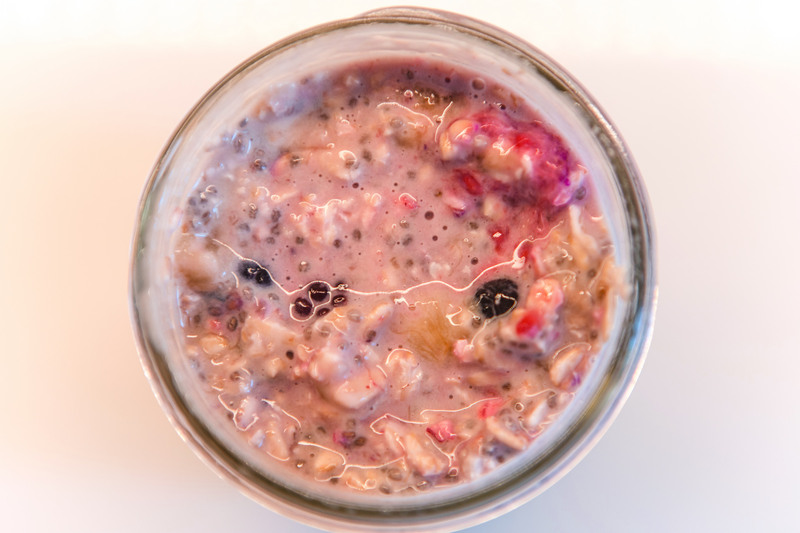 These overnight oats is one of them and today I am sharing it with you. Not only are they fast, but they taste great and are healthy too! Yes, healthy – no added sugar at all – not even honey or maple syrup. Read on to see what is in it and more importantly … how to make it yourself! 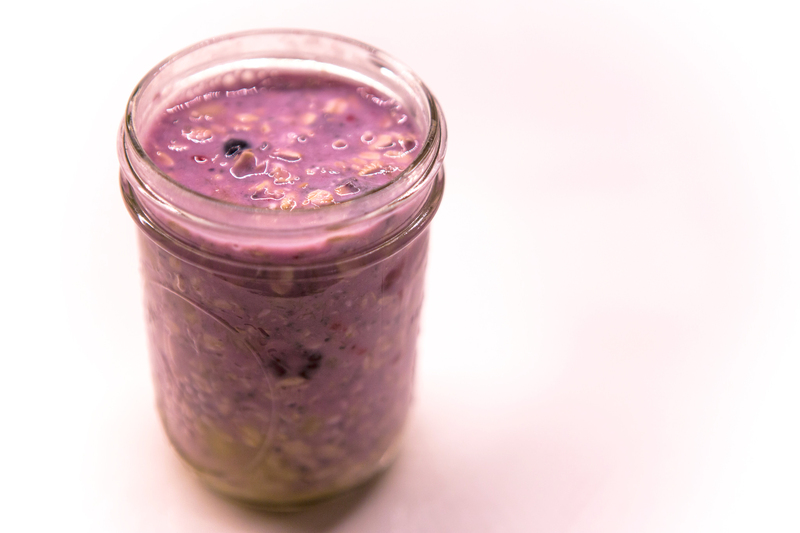 Yes, that is right – this is all you need to sweeten this delicious guilt free breakfast. The more ripe the banana, the sweeter it is. So start investing in bananas! I joke that that is what I do, invest in bananas … I buy bananas and time them when they will be ripe and ready – the more spots the better. Therefore, I have been buying bananas every couple of days to put into the overnight oats queue. 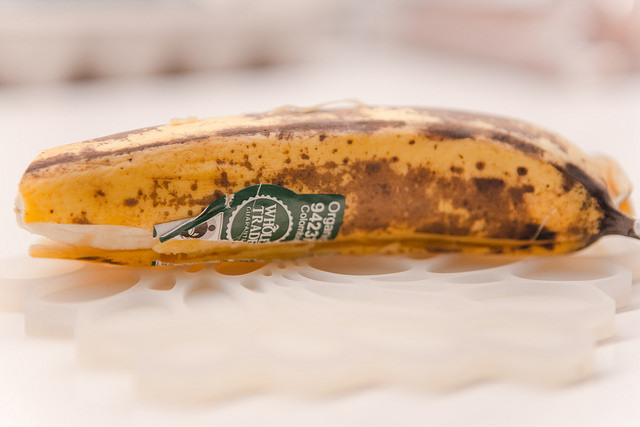 As a side note – I really wish supermarkets sold ripe bananas at a discounted price as I assume they have them but take them away before they turn “ugly”. 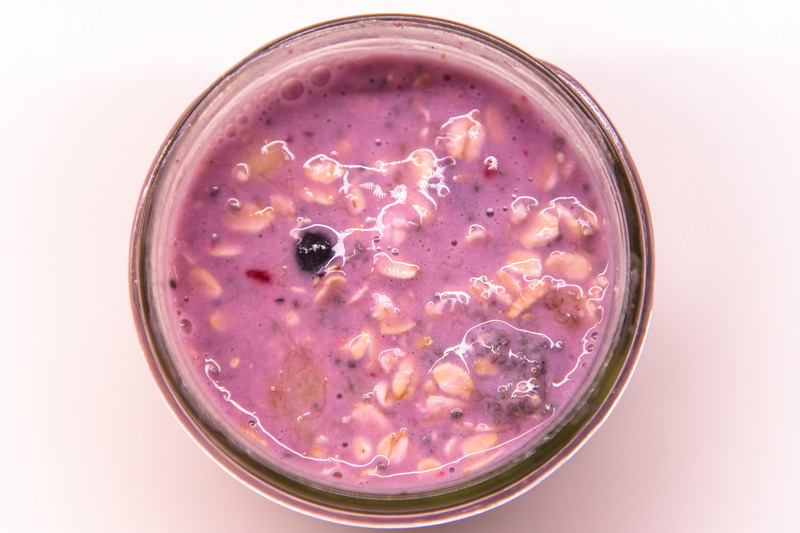 You might wonder – what makes this breakfast option so healthy? All the ingredients in this oatmeal are in fact healthy, but the one that stands out for me are the chia seeds. 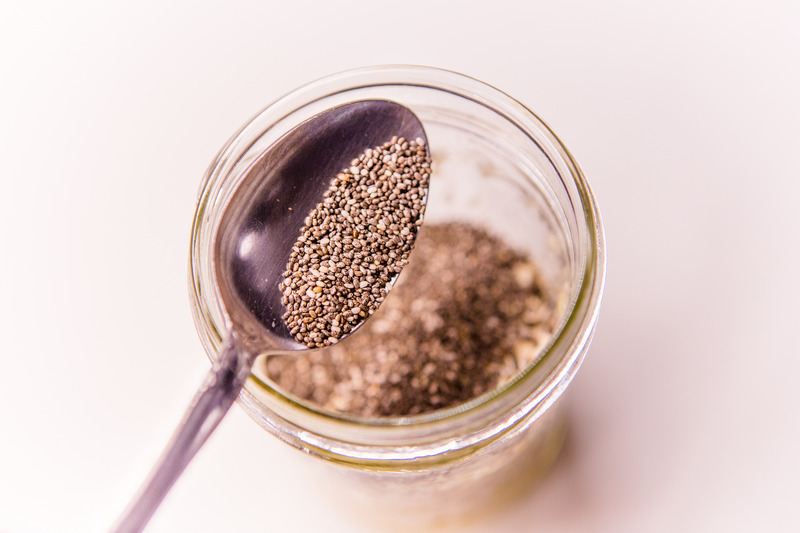 Chia seeds have so many health benefits packed in such a small footprint. 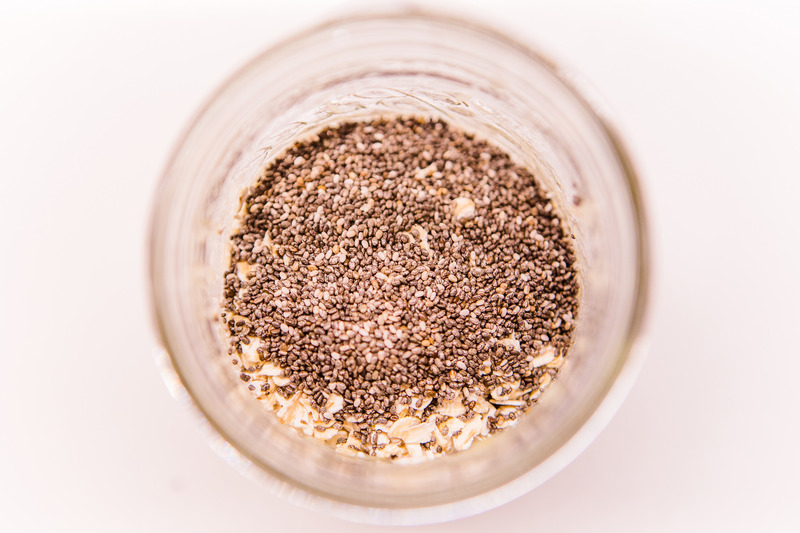 Here are some of the few benefits of chia seeds. 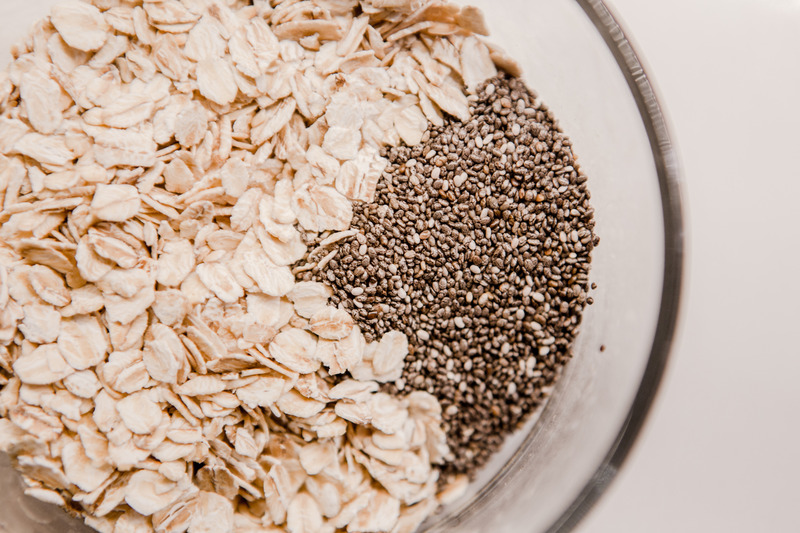 If you aren’t convinced about adding these little power houses to your diet after reading that list, then add it because they simply taste good, I love the texture of them! 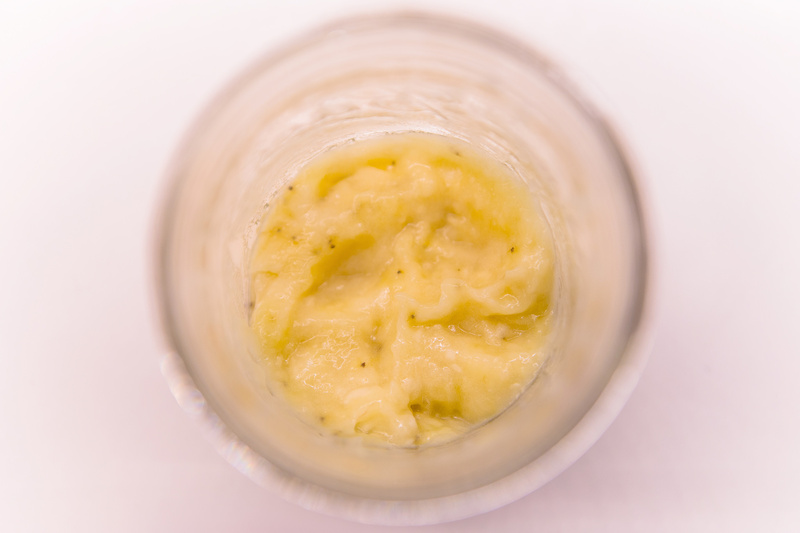 Place ripe banana in the jar. 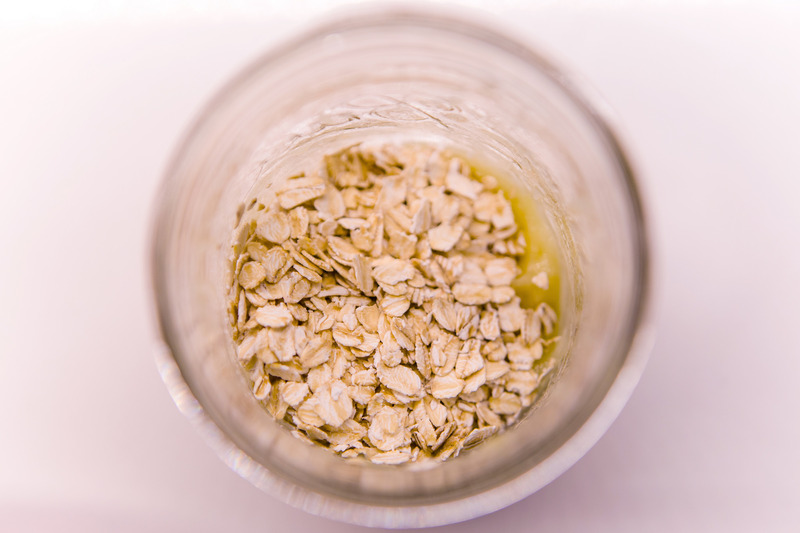 Add 1/2 a cup of old fashion rolled oats. 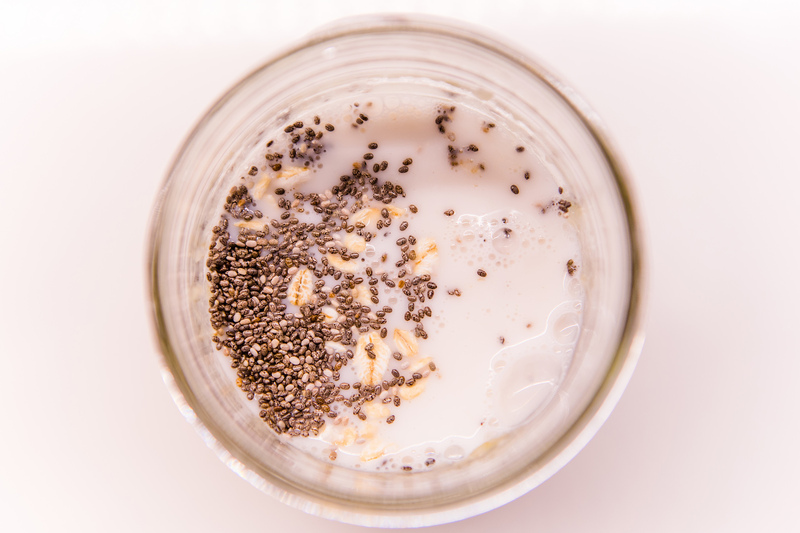 Add 2 tablespoons of chia seeds. Add 1 cup of non sweetened (or flavored) almond milk. Add frozen fruit of your choice. 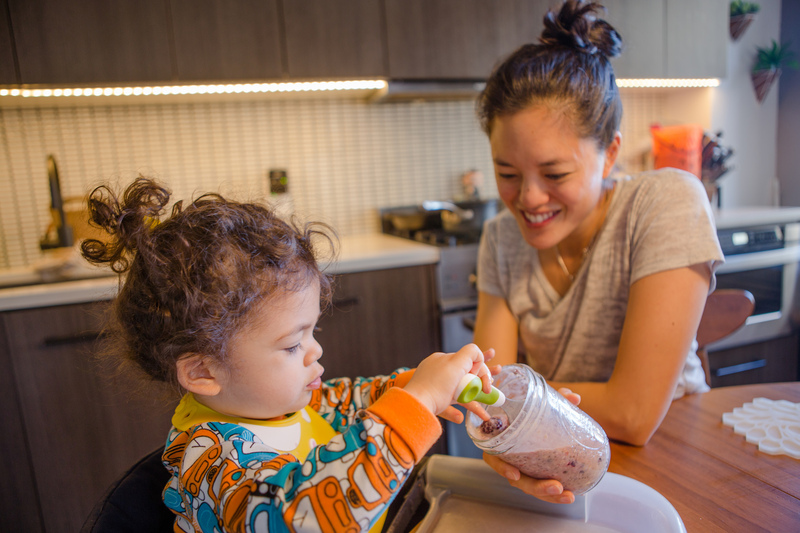 Mix up everything well in the jar and be sure everything is submerged in the almond milk. Put in the refridgerator. Take it out in the morning and enjoy! Eat it either cold or heat it up … whatever you prefer. 1. 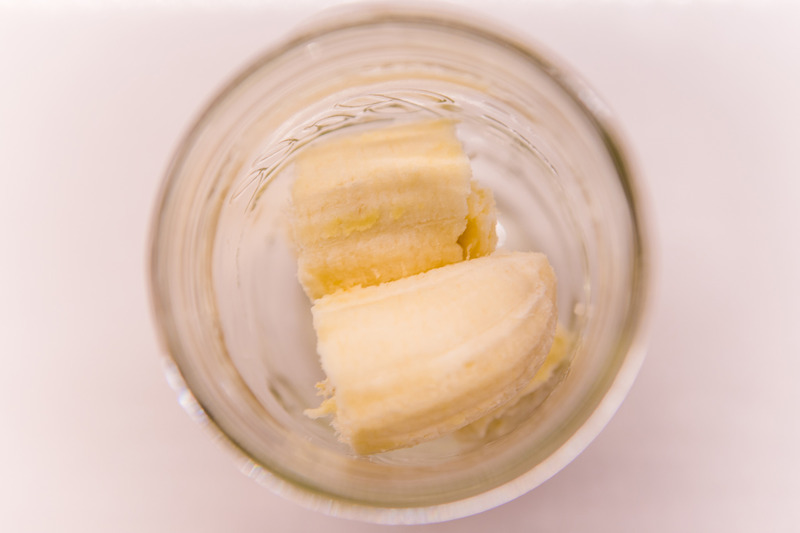 Using a mason jar or glass container with lid, peel and place ripe banana inside. 2. Mash banana with a spoon or fork. 3. Add the oats and chia seeds. 7. Seal & place in fridge overnight. 8. Enjoy the next morning! If you are using fresh fruit, add the fresh fruit on top in the morning. Can be eaten cold or heated. Personally, I prefer cold in the summer months and heated when the weather gets cooler. As an added bonus, my little T loves it. I hope your little ones will too!